At a certain age kids can sometimes decide it's not so cool to sing in a choir or getting and keeping their attention can be a challenge. 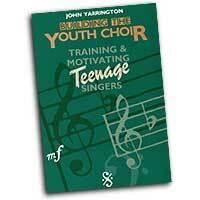 Here's a selection of books that will help you inspire, encourage and motivate young singers along with a selection of songs speciafically arranged for a youth chorus. Yarrington provides practical advice on how to get started, offers techniques that work to establish a good sound, suggests music suitable for youth, deals with the challenge of changing voices, and more. Conductor, teacher, and researcher Dr. Patrick K. Freer explores practical solutions to common problems while focusing on an impromptu ensemble of everyday kids. These three fast-paced DVDs demonstrate familiar challenges and Freer's sensitive, real-time solutions to them. You will see the process unfold as it actually happened and how Dr. 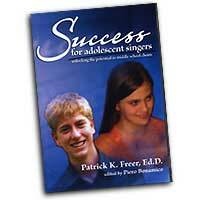 Freer incorporates research on adolescent learning into the process of teaching choral music. When working with these young adolescents, Dr. Freer clearly demonstrates how challenges associated with male and female changing voices can be handled successfully. Interviews with the students present valuable perspectives on being an adolescent singer, and a special segment on DVD 3 is designed to be shown to students in classrooms and choirs. The manual contains additional materials, including printed instructions for the exercises demonstrated throughout. The most basic advise for building a passion-driven youth choir is: Give them something they cannot get anywhere else; and It's all about: music, people, and God. Written by an author who has proven the passion driven approach works (Director of Music, Worship, and Other Arts, St. James United Methodist). 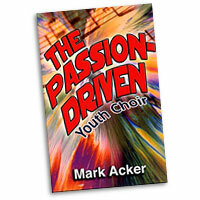 Includes development of the 4 stages of a youth choir member (attending, involved, committed, leader) and how directors can use the gifts of each of these stages to develop a youth choir throughout the year. 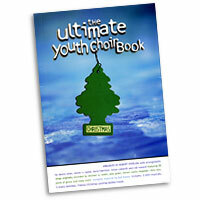 Develops the six principles the author believes are the building blocks to a great youth choir. 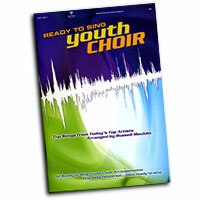 Includes practical tips on topics such as how to develop a choir rehearsal plan for youth choirs, development of youth choir retreats & tours; gives suggestions of creative ways to make each tour unique through worship and connection to the church through prayer. 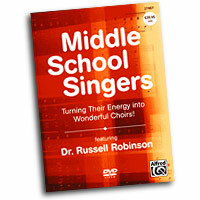 Russell L. Robinson: Middle School Singers - Turning Their Energy Into Wonderful Choirs! Pre-Performance Warm-Up for "Sing We and Chant It"
Performance of "Sing We and Chant It"
Ready to Sing Youth Choir is the first student choir collection from America's #1 selling series - Ready to Sing. 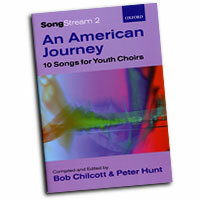 These twelve amazing songs, made popular by today's top Christian artists, are now available in easy SAB arrangements by Russell Mauldin for youth choirs of all sizes. Filled with Christian music's top songs, such as “Undo” (Rush of Fools), “Made to Love” (Toby Mac), “East to West” (Casting Crowns), “You Reign” (Mercy Me), “Amazing, Because It Is” (The Almost) and many more, your student choir will be singing these God-focused songs to encourage each other and to share the gospel of Jesus Christ. In Moments Like These/ Isn't He? 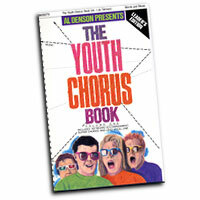 Al Denson presents this chorus book and companion products to provide everything for the musical activities of youth meetings. 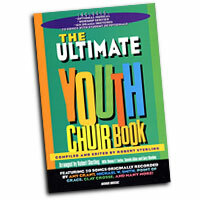 This book contains 27 popular songs and is divdided into three sections of nine songs each: lively “crowd breaker” choruses to get the youth involved, “praise” choruses for trnasition and “worship” choruses for quiet reflection.